Studies have shown that we spend the majority of our lives in a state of trance. Our unconscious mind calling the shots. We are trying to balance demanding careers, a spouse, children, school events, home maintenance, laundry, cooking, cleaning, oh yeah and maybe some fun. For most Americans, our jobs get the majority of our consciousness and time. In our off work hours, we spend the majority of it numbing our exhausted and overworked brains with wine, television, video games, social media, and so on. 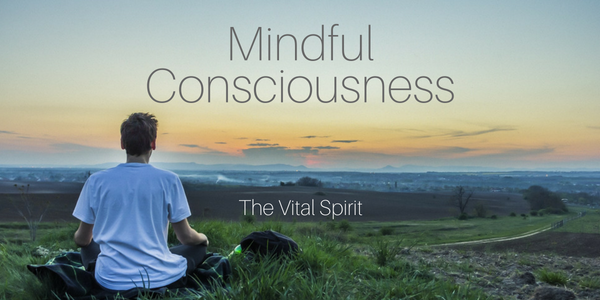 To cultivate consciousness, consider becoming conscious of your numbing devices for a week by recording each time you indulge in your go-to activity. The following week reduce your indulgence by 25%. Some activities to develop greater consciousness: a 30-minute walk in your neighborhood sans phone, a restorative yoga class, and/or 30-60 minute family meal time, at the table, no phones, no television, lots of talking. The only meaningful connections we have are when we are fully conscious. Think about how you can show up more consciously for yourself and the people in your life.